4 Bedroom Detached House For Sale in Strathaven for Offers Over £410,000. 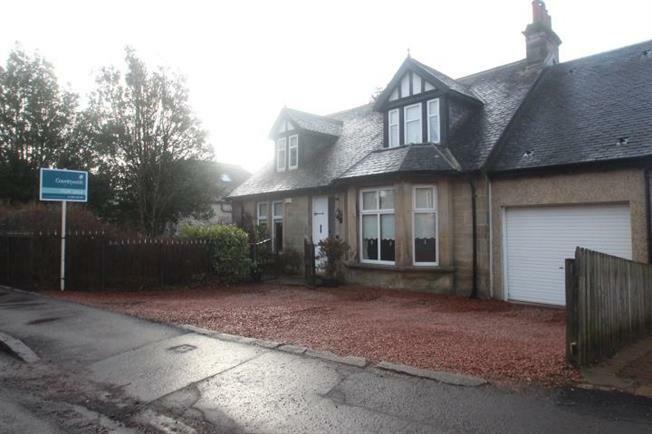 Incredible opportunity to acquire this substantial sandstone detached villa located in this quiet picturesque setting in the ever popular Strathaven close to amenities and transport links. The property comprises of grand entrance hallway, with the stunning bay window lounge just off complete with feature fire and surround. The formal dining room is both bright and airy having ample space for those family events complete with aspects across the front gardens. The dining size kitchen, complete with a range of base and wall mounted units and Belfast sink has enviable views across the private extensive rear garden. The cosy snug/bedroom four is also situated to the rear of the downstairs accommodation which gives access to the to the rear garden via French doors. From here there is also access to the substantial garage. In this area of the house there is a WC, utility room and study. The sitting room extension to the rear of the property is the pinnacle of the house - complete with panoramic views of the garden and finished off with fabulous log burner. On the upper level is found three generous bedrooms with the master benefitting from walk in dressing room and ensuite bathroom. Completing the accommodation is the family bathroom comprising of a three piece suite. Furthermore the property has gas central heating, double glazing, driveway and garage, fabulous outdoor space including a BBQ hut.